﻿﻿This week I finally have some money but it is never enough. However, since I have sorted my work experience for May and will be working here… http://www.provapr.com I need to get some smart business clothes and this is what I want. 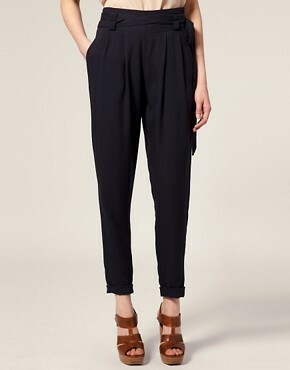 To start with I have been desperate for some trousers like this for so long! I’m not sure if I’ll get these ones though because I’ve seen some similar ones in Zara. And I’m also not sure about the colour because I’d like some which are a bit lighter and a bit shorter; but I suppose I could just turn up the bottoms! Finally I really want these shoes! Only £15 as well, currently on sale at debenhams, but by Red Herring. Definitely want this style and I think they’ll be perfect for my drive to Warwick and if I end up on my feet all day I wont be sorry I got these! Although I’ll probably be sat at a computer all day so back up heels are a must. I’m going to cheat today and head out to Primark first, if I can get these cheaper I will be very happy!